Cabo San Lucas in November, 2018. Claims justified as to its danger, but reports say it is improving with additional police presence. I never thought I’d see the day when I would have to fact check every single claim that a sitting U.S. President made, but that day has arrived. Oh, yes, we always had to take some figures and facts from any president (“W,” in particular) with a grain of salt, but it has become increasingly clear that we cannot believe even one fact or figure that comes out of Donald J. Trump’s mouth without confirming it independently, so I thought I would spend a small amount of time doing just that. I consulted sources like the U.K. “Guardian” that are not known to be prominently right or left, and I read more than one source. So, I’ve done your work for you, Kids! I boldfaced a lot of Trump’s “claims” in yesterday’s speech from the Oval Office to help me in this onerous task. I don’t claim that I have done as good a job as Snopes, but bear with me, Sportsfans! The first claim that I want to cry LOUDLY is pure B.S. is The Donald’s bragging about how much he has accomplished in these last 2 years in office. (“I’ve done more than any other president has ever done in the first 2 years of his presidency.“) The truth is that a quick check of just ONE President (FDR) and his first 100 days in office—far less than 2 years— would prove that Trump has a high opinion of himself that is undeserved. Anyone who was alive when Obama took command of the housing mess in 2008, inherited from George W. Bush, can provide a list of the actions Obama took to save the auto industry and keep our economy from collapsing. (Thank God it wasn’t Trump who was in office then!). The second claim I checked out was whether or not China has, at Trump’s urging, declared fentanyl illegal and stopped the flow of the drug into the U.S. The CNBC comment on this was: “Chinese state media said only that the nation will work on controlling fentanyl, language that falls short of the White House statement.” Apparently, fentanyl was already illegal. [This reminds me of Trump’s many pronouncements about North Korea’s arms building following his meeting with their leader; nothing substantive was signed, sealed or delivered during those meetings]. Trump said: “38,000 people were being murdered in Mexico, up 38% from previous years. It is one of the most unsafe countries in the world.” This statement comes closest to being true, but there are some caveats here, as with anything Trump says. The murders per 100,000 in 2017 were listed as 25 per 100,000 (versus 19.4 in 2011). Murders went up 16% in 2018. In the first half of this year, the reports were 15,973 murders and, if you double that, you come up with 31,946, which is close to what Trump cited. The problem, currently, is that the Jalisco and Sinaloa drug cartels are competing for control after El Chapo’s arrest and imprisonment. These figures are important to me, with a time share in Mazatlan in Sinaloa and a couple in Cancun (Quintana Roo). The murder rate in Mazatlan is (currently) 71 per 100,000. (Honduras and El Salvador, by comparison, chart 60 per 100,000 ). The most dangerous state is Colima with 80 per 100,000. 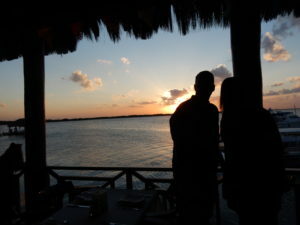 Quintana Roo, where we have vacationed at Easter for the past 25 years, has a rate of 35 per 100,000, a 132% increase. All these figures are courtesy of The Guardian (July 23, 2018). [I’m particularly interested in Cancun with an April 6th arrival date this year.] Recently, El Poncho (Alfonso Contieras Espinoza) and his wife were gunned down while he was hospitalized at Playamed Hospital. 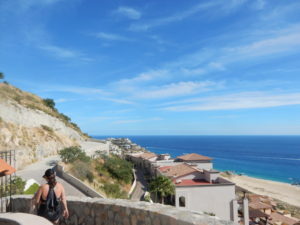 Los Cabos (we just spent a week in Cabos at Thanksgiving) was characterized as “the most dangerous city outside a war zone.” There is a new gang called the Jalisco New Generation (CJNG) and they are fighting with the Gulf cartel for control of Baja Peninsula’s drug trade. A former Mayor of Playa del Carmen (Mauricio Gongora) was recently accused of misappropriating $13.3 million. There was the explosion on a ferry boat that killed 9, which was said to be drug-related. 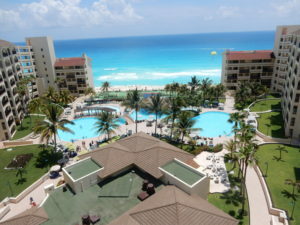 Still, the occupancy rate in Cancun remains 83%; tourism is 8% of Mexico’s annual GDP. Still, 84% of the locals in Cancun do not find their side of town, away from the Hotel Zone, “safe” and complain that they have third world facilities in a first world city, when a pot hole has gone unfixed for 15 years and has gotten so bad that they recently held a birthday party for it (zip-line across the large gulch) to underscore their dissatisfaction. So, The Donald is not wrong about the need for Mexico to get its murder rate under control (much like Chicago); the preliminary report from Cabo, is that an increased police presence has been instituted and is working there. Trump seems to think that we are profiting from the tariffs with China. (Two economists analyzed this (Krill Borusyak of Princeton and Xavier Jaravel of the London School of Economics) and they say the tariffs will cost the average American family $127 a year. Among other manufacturers that will have to increase their prices in the face of Trump’s tariff decision are Walmart, the Gap, Coca-Cola, General Motors and Macy’s. The list of products that will increase because of Trump’s poorly-thought-out decision include TVs, home repair materials and home building materials, washing machines, solar panels, cars, beer, cosmetics, electronics and clothing. And don’t get me started on the loss of the soy bean market (et. al.) for American farmers. As for the caravan members and how many of them are “bad dudes,”, of 4,841 registered migrants applying for housing in a sports complex in Mexico as part of their caravan to seek asylum, 1,726 were below the age of 18. Three hundred and ten were under the age of 5; 2,700 applied for temporary visas in Mexico upon arrival. Of the approximately 5% of the caravan’s members who have a criminal record, 32% of them were because they were undocumented in the country, 16% were for drug possession, 14% were for traffic violations, 10% were for assault and 1.7% were for sexual assault, Trump’s biggest talking point. (“They throw the woman onto the back seat of cars with black masking tape on their mouths; they turn left, blah, blah, blah.”) These figures mean that 95% of the caravans’ members were NOT in any way “criminals” and the “crimes” that the others were accused of were often minor, yet Trump sent 5,000 U.S. troops to the border to deal with these (primarily) women and children.